You might have heard this called "Day-of Coordination". Our goal is make sure you can enjoy your day - and let us take care of all the little details and tie loose ends. This package is a good fit for those who are excited about doing the planning research and vendor selection. We are still involved in reviewing vendor contracts and keeping you on track. We take over month of, so you can relax. We will ensure everything runs smoothly on your big day! Think of us as your very knowledgeable best friend. We are here to help guide and advise you throughout the entire planning process, then execute your vision on the day of the event! We will help you with vendor suggestions and keep you on track every step of the way. This package includes unlimited communication and we will be by your side the entire wedding day. This is our ultimate planning package for the busy couple. We will be by your side with all decisions and guide you in the right direction. With an additional planned event and budget management, we will ensure you stay on track without getting bogged down with the little details. You can enjoy your engagement without having to lift a finger! Full package details + pricing available upon request. As your in-house coordination team, we will take care of the fine details day-of so that you don't have to worry about a thing! "Confetti Events was a great asset to our wedding at the Hilton Clearwater Beach. They went above and beyond to make our day perfect. 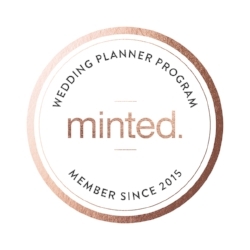 They nailed every detail, blotted every stain, fixed every bobby pin and kept everyone on time!"